To hold a workshop on the application of GIS techniques to cephalopod fisheries, bringing together scientists in the fields of GIS, fisheries and cephalopod biology. To review the application of GIS techniques in cephalopod fishery management and evaluate prospects for future development. To review experience of the different software packages available including appropriate databases and associated statistical too. This workshop will result in a critical review of the state of the art in fisheries GIS as applied in cephalopod fisheries. It will include recommendations on procedures and software, and the integration of GIS into fisheries management. At the workshop, participants will give short presentations on their topic, followed by discussion and consideration of recommendations. Minutes from the discussion will form the second part of the resulting report. A summary of the workshop outcomes will be presented to the main symposium. 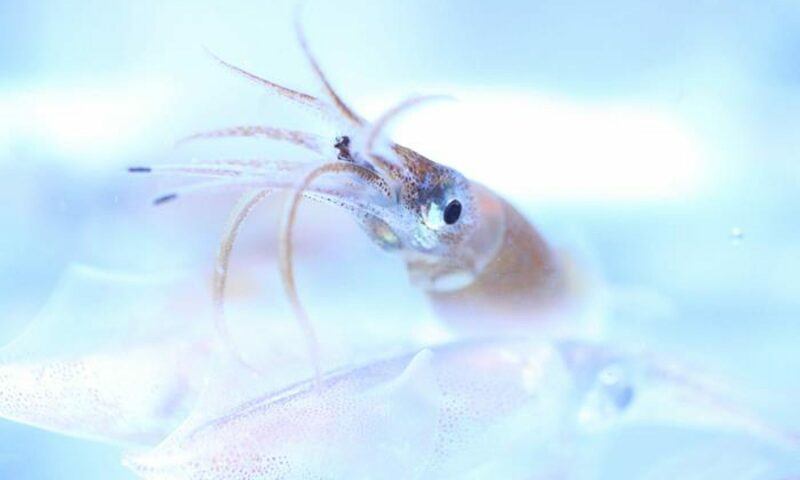 To hold a workshop on the application of molecular genetic techniques to cephalopod biology, bringing together scientists in the field of cephalopod population genetics and phylogenetics. To review the current state of the art of the application of molecular genetic methods to cephalopod biology, and evaluate prospects for future development. To review successes, and failures, of different molecular genetic approaches and techniques with regard to issues specific to cephalopods. This workpackage will result in a critical review of current advances in the application of molecular genetic approaches to cephalopod biology. It will include recommendations on genetic techniques most applicable to particular questions in cephalopod biology, in terms of which markers (whether DNA- or protein-based) are most suitable practically and in providing the necessary level of information. The timing of this workpackage is highly relevant, as the multiple benefits to finfish biology accrued through the use of molecular genetic approaches are only now being successfully transferred to cephalopods: a review of successes and failures in this initial phase of development is badly needed to facilitate effective and rapid advances in future studies. At the workshop, participants will give short presentations on their topic (specifically highlighting successes and failures of particular approaches), followed by discussion and consideration of recommendations. Minutes from the discussion will form the second part of the resulting report. A summary of workshop outcomes will be presented to the main symposium. Taxonomy and species diversity. The benthic eggs and direct developing larval stage mean that these deep-sea anima may be more speciose than is currently recognised. Specimens from throughout the world and in particular the Atlantic will be investigated to determine diversity and taxonomic relationships. Life history patterns. Investigate longevity and reproductive biology, and in particular aspects that make them susceptible to fishing activity. Trophic ecology. Investigate diet of cirrates and their role in the ecology of the deep-sea. Review information on predators of the cirrates. The workshop convenors will present an outline of the findings to the main conference. To provide an easily accessible database on disc, which can be used for biomass calculations from the beaks of cephalopods collected from predator stomachs. Provide a hands on service for people having difficulty identifying particular beaks. Collate unpublished descriptions and illustrations of beaks to provide a supplement to Clarke (1986). A handbook for the identification of cephalopod beaks. We are relying on your data to construct this database. Our aim is to improve beak size:ML:weight relationships for as many species as possible by getting people to put any raw data they have into formatted Excel templates. ML:weight data would be helpful even where no beak data are available. If you have data that you would like to contribute then either download the template and return your data to Louise Allcock, or, if for some reason this doesn’t work, simply email Louise and request the templates. We hope to get as much data as possible prior to the conference. This way we will have time to compile the database prior to the conference, which leaves more of the workshop time free to deal with people’s enquiries and problems. The database will either be put on the web, or will be distributed at a minimal charge (to cover the cost of blank CDs etc) to all contributors. Please consider submitting any data that you might have even if you are not interested in attending the workshop. All data will be fully credited to the contributor and it will be clear from the database who submitted each record. This will simply be everybody helping everybody else. If you do have problem beaks that you would like to try and identify it would be helpful if you would contact us in advance. Send an email to Malcolm Clarke, detailing as much information about your beaks as possible (e.g., predator species, geographic location, putative cephalopod family etc). If you would like to volunteer as an expert on a particular taxonomic group then please also contact Malcolm. Alternatively just drop in and see if you can identify any of the mystery beaks during the workshop. Like the database we shall try to collate at least some of these prior to the workshop. If you have information and/or illustrations for beaks which are not described in the literature, and you are willing to contribute these to a cost price electronic catalogue, please email Louise with the list of species for which you have the appropriate information. The way we take this forward depends on the number of contributions so please make initial contact as soon as possible. If you require further information or have specific questions concerning the workshop that are not covered in this page, please email either Louise or Malcolm. Unfortunately we both have a fairly heavy field work schedule in the months prior to the conference so we will not always be available to provide rapid responses. If you require general information about the conference or a formal invite to the workshop to assist with procuring funding then please contact the conference secretariat for a more efficient service!